Idaho lutosus are among my favorites. That’s a real shame that they feel the need for a take, especially when people in the area don’t often even know they’re not diamondbacks, from which trinkets already abound. I just discovered your site while perusing your gray-banded king snake pictures on Flickr. Nice! 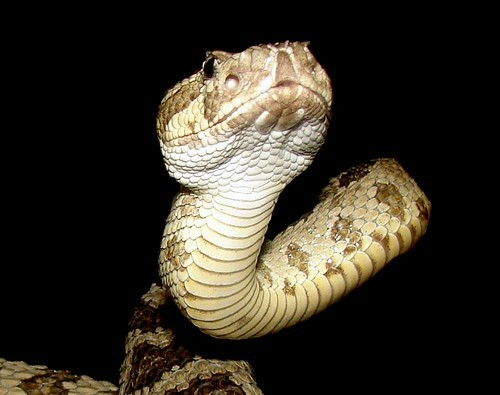 I like all snakes, including the rattlesnakes, especially the sidewinders we have in our area. (Fascinating how they move!) It’s good to see the educational programs on rattlers you have here. I’ve had to kill them sometimes, as a job requirement when they wandered onto the property, or my sister’s ranch in Texas–she hates them. One I killed on her ranch was way out by the property fence, and when her husband asked where I got it, he said t probably would have been O.K. out there. I said, “NOW you tell me! I’d nave left it alone, had I known that!” The one’s I had to kill, though, I tried to turn into honest predatory kills. They did taste pretty good. All said and done, though, I MUCH prefer to let rattlers live. They are some of my favorite snakes. Is “Little Guy” your pet, or did you release him after a while?